When black Adventist singles are ready for a great relationship that could lead to marriage, they know they can count on one of the most authentic and exciting dating site for Christians. Simply by creating a free trial profile, the search for your true love will become easier, faster, and fun! If you're trying to find your life partner, your helpmeet, your true love, then you've come to the perfect matchmaker. By using our free trial, your search for your soulmate could be over quickly. When seeking the premium dating portal for Christian believers, our daters trust one of the most popular matchmaking services out there today. We've assisted thousands of singles through the last 20 years connect with their matches. If you're not convinced that dating online works, check out our singles testimonials page. We've got literally thousands of Christian testimonials detailing how our matchmaking service met their expectations, and how they found love through us. Black Adventist singles who are ready to connect with single women and single men can do so through our trusted dating site, ChristianCafe.com. We've been matching black Adventist singles since 1999. Thousands upon thousands have met their better half through us. If you're seeking 'the One' for you elsewhere and haven't had any luck, search no more. Join us now and start mingling with serious daters who are seeking long-term relationships. Some singles can be skeptical about dating online. They worry about safety or believe meeting singles online can be risky. However, all your doubts and worries will vanish when you see that that safety and privacy are a top priority for us. Only you can reveal your personal information, as little or as much as you feel comfortable doing. As you get to know other singles, you can slowly let them know about you, as your trust builds with other daters. So meeting and connecting new people for a long-term relationship can be fun and exciting if do it the right way. And, by using the best dating service you can find online, it's all the more satisfying. When singles want to find true love, they can do so by the comfort of their own home or on the go with our dating app. Things in life don't always come easy or quickly, especially when you're seeking true love. So, you need to proceed carefully with a singles site that you can trust. Start your exciting new journey by searching for black Adventist singles with us. You can also search for Christians from other denominations. Join our thousands of singles who are seeking someone just like you. Don't let your soulmate slip away. Join us today and start your search for your perfect love now! By creating a free trial profile, you'll be able to communicate for free with others for 10 days. You can send and receive messages as much as you want, when you're seeking your potential matches online. Dating online can be easy to use, and exciting too. It can be hard to connect with other singles while at work, or church, at social clubs, or with friends. Using dating services such as ChristianCafe.com will open up a whole new world of singles for you. When looking to meet other singles, you just need to be at the right dating site at the right time. That time is now! Black Adventist singles understand the importance of connecting with true single believers. They want to meet someone who loves Jesus as much as they do. When you desire a relationship where Jesus is the center of that union, it's so important to search for your special someone with a trusted matchmaker site that was designed with devout singles like yourself in mind. In addition to our thousands of active singles, you'll find a prayer page where you can request prayers or pray for others. And, you can participate in our multiple forum topics related to dating and your shared faith. Dating online is very popular and there are lots of dating sites to choose from. However, the overwhelming majority of them are secular companies. The ones targeting Christian singles can pretending to be Christian ministries to get your business. But, don't fall for that. Choose us, as we're truly Christians matching Christian singles. Registering is free and simple. Joining the premier matchmaker service online is easy and fun. 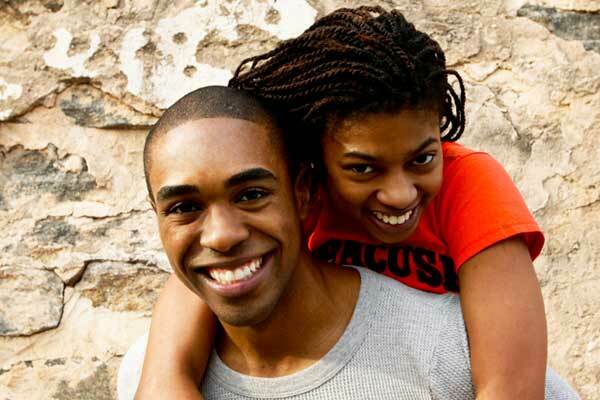 If you're seeking the best black Adventist singles site online, you'll find it here. Turn your dating life back on. You'll fine thousands of other Christian singles who are seeking someone like you.